I've talked before about Small Magazine and their accompanying blog. Well, I've recently started putting together a monthly craft project for the blog, something for parents and kids to make together. 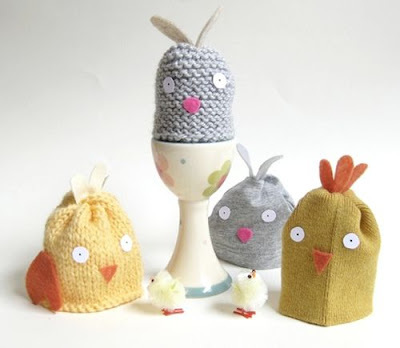 This time, seeing as spring has sprung and the supermarkets are brimful of chocolate eggs, I thought handmade egg cosies would be apt. You can see the whole post here.